If you like to unwind after a hard day designing with a spot of gaming, you're certainly not alone. And the good news is that there are plenty of Cyber Monday deals on games and gaming just waiting to be snapped up. The best we've seen on the Nintendo Switch is Nintendo Switch Neon and two games: The Legend of Zelda Breath of the Wild and Mario Kart 8 for just £299. This saving of £50 is really pulling people in though, 322 of these have been sold in the last hour alone. So act now if you want it! 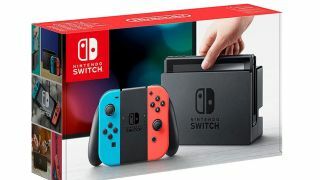 Save £50: Get a Nintendo Switch Neon plus two awesome games for under £300. This deal is selling fast on eBay, so buy it now if you're interested!